(I) Jaco Gericke: "Can God Exist if Yahweh Doesn't?" It's pleasant, once in a while, to exit the parched lands of the New Atheism, where village atheists congregate around every town square and pelt strangers with rotten tomatoes, and stumble on an atheist who writes with dignity, avoids useless insults, and argues rationally. What a relief to say, "Your argument is reasonable, but sorry, it's wrong." That is what I am happy to say to Dr. Jaco Gericke. Gericke's argument is the first chapter in John Loftus' ambitious The End of Christianity I will review here. It's a good chapter to start with, because it deals with notions of God in the Bible, and attempts to cut Christianity down from the roots. The title of the chapter, "Can God exist if Yahweh doesn't? ", gives a good idea of where Gericke is heading. What the Old Testament says about Yahweh is incoherent and incredible, he argues. Since more nuanced and sophisticated ideas about God depend historically on this primitive, Zeus-like deity with arms, legs, even sexual organs, then Christian philosophy is (though he doesn't use this metaphor) a house built on sand. I'm not an Old Testament scholar, and will leave most of Gericke's points about the OT to someone more qualified in that field. After (a) explaining Gericke's argument in more detail, I plan to critique it on two grounds on which I feel more comfortable: (b) the logic of the argument, and (c) the empirical data of comparative religion. Gericke anticipates the first, but does not, in my opinion, respond to it adequately. The second objection I think not only devastates his argument, but turns it on its head, and renders it an argument FOR, rather than against theism. The facts I will bring up at this point, Gericke shows no sign of anticipating. (A) "Yahweh is a myth, so God is unreal." This is, indeed, the argument one finds in the rest of the chapter, and Gericke offers quite a bit of OT evidence to back it up. Where did "God" come from? Throughout the chapter, Gericke assumes that a clear, transcendent Creator "God" evolved from a localized, mythological "Yahweh." We begin with a "god," then spin him into "God:"
"Yet we are now told to believe in what is supposed to be the 'real God' even though his Iron Age (1200-500 BC) character and supernatural setup appeared on the scene late in the history of religion at some point during the second half of the second millennium BCE -- and just happens to eternally resemble the culture of this era. I'm sorry, but this is all very hard to swallow. It is no more believable than claiming any other god with an identifiable history of origin and reconstruction in myth just happens to be the ultimate reality. Does the word 'absurd' still have any meaning in religious circles today?" I don't think Gericke is quite right about Yahweh. I think he could profit from reading Rodney Stark's Discovery of God, which draws a sharp contrast between ancient Middle Eastern "temple" religions and the theism of Israel. But rather than getting lost in those waterways, I'd like to concentrate on two simple points, one logical, the other empirical, which I think not only defeat, but actually reverse, this argument, and turns it into an argument FOR God. St. Anselm grew up in the mountain town of Aosta in northern Italy, surrounded by Alps that soar higher than 10,000 feet on three sides. 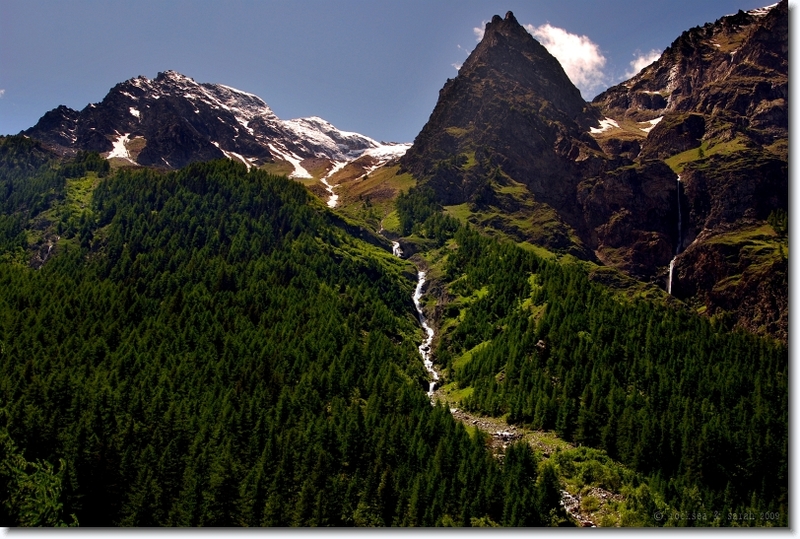 As a boy, he assumed that heaven was at the top of those peaks. He once dreamed that God invited him climb the mountains to the court of heaven. Having arrived, he found everyone in court was out harvesting the grain. The only ones left were God and his steward, who offered him some pure white bread. Anselm became one of the most sophisticated philosophers of the Middle Ages. He would later define God, not as an old man with a beard living in a courtyard up in the Alps, but as the being of whom there was no greater. One can see change, here, and also continuity. Anselm's childish vision of God could be called "mythological" or even "wrong," yet it encapsulated something about God that he continued to find true, as one of the leading philosophers of his day, and as the Archbishop of Canterbury. The question is, if a concept of God is faulty, does that mean God does not exist? And why, if Anselm's childish vision was primitive, cute, or laughable, did Anselm, having grown up, not realize his foolishness, and convert to atheism? C. S. Lewis makes the same point hypothetically. A Galilean peasant might hold to an anthropomorphic understanding of God or the afterlife. He might then go to Alexandria, get a philosophical education, and realize that "the Father had no right hand and did not sit on a throne." But would he think that by gaining more sophisticated images about God, the essentials of his core belief had changed? Only if, aside from being a peasant, he was also a fool -- "two very different things." I think Gericke overstates the childish element in Old Testament theology. But even if he is right about how Yahweh was seen or understood by some of its writers, it would in no way follow either that the essence of their faith was wrong, or that, having learned better theology, they would fail to rightly recognize continuity between childish and mature visions. It might even be that God gave Anselm that vision -- as his biographer, Eadmer, seemed to believe -- and that he likewise revealed himself in a step-by-step manner to the "children" of Israel. "God in the Pentateuch is not a 'person;' he is a character in a book. And there are no people in books, no real people, only fictions; for books are made, not procreated." This is a peculiar claim, since for me, both Clines and Gericke are also "characters in a book." I assume they are more than that. I also assume they are more than their limited representations of themselves, in this one chapter. It is hard to see why the same can't be true of God: our understanding of Him, as even of ourselves, must by definition be limited. "Yahweh spoke the world into being via a particular dialect of classical Hebrew that evolved among humans, stayed around only for a short time in a local bit of history, and then vanished everywhere except for heaven. But think about it . . . When God says 'Let there be light!' in classical Hebrew, there is nobody for whom what God uters is language rather than just a wordless shout. There is no community of speakers . . . "
Here we descend, for a moment, into village atheist territory. Does Gerricke seriously think the fact that God is quoted as speaking in Hebrew, in a Hebrew book, should somehow trouble believers? The more we understand the nature of the universe -- the exquisitely complex information built into both the laws of physics and the structure of life, which is now known to contain true language, in the genetic code -- the more profound these initial words have come to seem. The universe is spoken into being, we now know that scientifically, beyond all doubt, and to increasing amazement. I have never met a Christian who was troubled by this point, not because we are all deluded fools, but because we recognize that God is humble and wise enough to speak to people in their own language. But the biggest problem with Gericke's thesis has to do with the history of world religions, which I think he has badly misunderstood. (C) Which Came First -- Yahweh or God? Gericke's argument depends on "Yahwism" being a "latecomer in the history of religions." Indeed, he marks its origin at some 3000-3500 years ago. Furthermore, this faith is a local affair: Yahweh knew nothing of Native Americans, Khoi-San of South Africa, the Aborigines of Australia, or the Eskimos. I love these examples. They are so clear, and SO wrong. What if, rather than casting doubt on Gericke's logic, we examine his premises? What if, however some concepts of Yahweh may have grown confused (as happened, even to the young Anselm), there is widespread awareness on every inhabited continent of one, true God, matching the central theology of Israel, of Jesus, Paul, Augustine, and Pascal? St. Paul anticipated that. He came to Athens and quoted Greek philosophers about God: "As some of your own poets have said, 'In Him we live and move and have our being' . . . 'We also are his offspring.'" St. Augustine also anticipated that. He predicted, in City of God (8.9), that awareness of the true God would be found north, south, east and west, revealed (chapter 12) by God. Secular assumptions notwithstanding, such a God has, in fact, been found in all these directions, including among tribes whose customs don't appear to have changed much for tens of thousands of years. And including many of the very tribes Gericke mentions. These facts are no longer hidden in a corner. Andrew Lang, even Edward Tylor, Wilhelm Schmidt, even Emile Durkheim, Paul Radin, Mircea Eliade, even Marvin Harris, Rodney Stark, and other eminent scholars of religion have examined evidence for a coherent belief in a God that transcends cultures, and must have preceded belief in Yahweh, around the world. This God is typically seen as eternal, transcendent, creator, good, listening to prayer, rewarding virtue, judge after death, and is often said should not be worshiped with idols. Sometimes people and tribes relapse, and God sinks again into the pantheon, then reemerges. The Bible itself predicts this. Why are Christians supposed to be surprised by it? I've written on this extensively: in True Son of Heaven, Jesus and the Religions of Man, and The Truth Behind the New Atheism. I also have a blog here on the subject. There is no need to give all the quotes again. Does that sound at all familiar to anyone? Remember, the Australian aborigines were tribal. They didn't have kings. And their customs likely predated the alleged origin of Yahweh by thousands, if not tens of thousands, of years. And that pulls the plug on Gericke's whole theory, and makes one wonder: if a local and culturally-limited origin of God makes belief in him implausible, would not a widespread and culturally-transcendent belief in a recognizably consistent God, make faith in Him more plausible? Or does this argument only work one way? And it's not just the Aussies. (2) African tribes, from whence all humanity comes, also seem to have usually been aware of a Supreme God whose characteristics exactly match those in Australia! John Mbiti shows this in detail in African Religions and Philosophy, as do many local sources. As I recall, one sources describes indigenous theism among the Bush Men (San) of southern Africa, that Gericke mentions. (3) As Paul Radin admits in Monotheism Among Primitive Peoples that a similiar theism ("the Great Spirit") was common among North American tribes. He ascribes this belief to tribal intellectuals, it is true. Whether he is right about that or not, Gericke's own example shows again that God preceded whatever anthropomorphisms may have accrued to knowledge of God in Israel or elsewhere. (4) Eskimos also often had a similar belief, as Wilhelm Schmidt pointed out. None of these tribes had kings. All have lived in their homeland for thousands, in some cases tens of thousands, of years, apparently aware of God all that time. It seems, then, that far from undermining God, Gericke's argument gives us a remarkable reason to believe in Him. After all, He is not limitted to any one culture, time, or socio-economic system. Most of humanity, over most of its life, seems to have been aware of Him, even if (as the Bible specifically warns) we sometimes push Him to the back of our minds, or create idols and ideologies unworthy of His reality, that we all seem to feel. Atheists argue that if God is limitted by culture, He is probably unreal. Richard Dawkins makes a similar argument in God Delusion, as does Durkheim in another part of Elementary Forms. So what if God is NOT limited by culture? What if He has, as Paul and Augustine anticipated, revealed Himself to much of humanity? What if the "evolution of religions" model is bunk from start to finish? Wouldn't that mean God probably is real? In short, it seems that Yahweh has outwitted His critics, again. Completely aside from the merit of the article, I have to geek at the screenshot grabbed from the box of the Age of Mythology game. I find your examples of different cultures believing in a sort of monotheism to be breathtaking. I am filled with questions and doubts and feelings and all that jazz. I have often wondered about that particular issue myself, and whether it actually is possible to compare indigenous peoples' religions with Christianity. Yet at the same time I am filled with doubt. It seems as though one would have to collect the similarities and discard the differences to get to the conclusion that these peoples actually believe in the same God, and I am also reminded of the poor job early researchers of religion did when they compared mediterranean myths with Christianity and concluded that the latter was just an imitation of the former. I would hope that Christian researchers didn't make the same mistakes to support their views as anti-christians did to support their's. Jason: Completely accidental; I'll have to admit to absolute ignorance. Sometimes there's a hidden joke in the photos I use, but not in this case. My main strategy game right now is how to get blackberries out of bushes without getting scratched (it's more challenging if you just wear running shorts), and where to find mountain blueberries. Hans: I wouldn't use the word "monotheism." The technical term "monolatry" is more accurate, since aside from a Supreme God, there are always other spirits, as there were in ancient Israel, and in Medieval Europe. But there's usually a vast disconnect between the two, as between the words "God" and "gods." Doubts are healthy, hope you find something interesting. 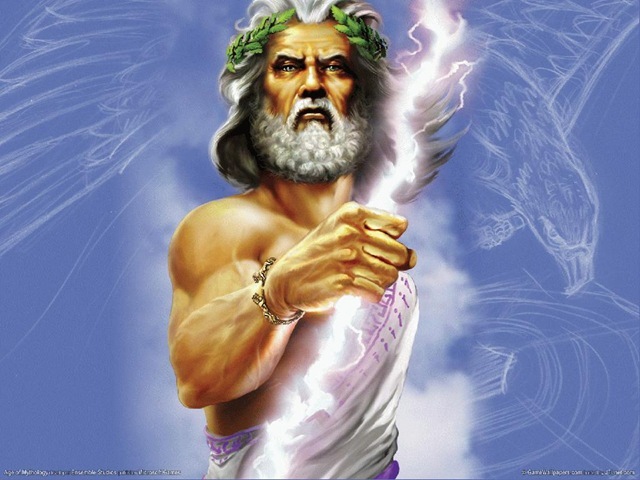 Where Gerick goes wrong is in assuming the Zeus is a self-evidently ridiculous, childish and incredible view of a god. The Ancient Greeks did not think so, and they were very smart indeed. I would approach this from a different angle: Zeus could well exist, as could Yahweh, and as could the more “philosophical” conceptions of God found among later theistic theologians. God could well be an old man with a beard living in a courtyard up in the Alps. Who can say for sure? Since we don’t know much about the Divine, religion should be open to all conceptions of God and gods. And polytheism is compatible with monotheism – the various “gods” are just partial manifestations of the One Big UberGod who encompasses them all – they are aspects of the Divine (sort of like the Trinity in Christianity – three gods in One God). I wonder do two people anywhere mean that exact same thing by the word “God”? In my own view, the word “God” refers to The Totality of Everything that Exists Everywhere (since the “Totality of Reality” is a being of whom there is no greater – this is basically a Spinozist conception of God). But I don’t insist that everyone share this view of God – for example, strictly speaking, I think Christians are idolators who worship a false god, whereas I worship the true God. I even think that orthodox Christians are not true followers of Jesus since I do not think that Jesus advocated the Trinity, the Incarnation or the Resurrection, and these are the central doctrines of institutional Christianity – they are a corruption of the teachings of Jesus. But I might be wrong about all of this, since there is no certainty in these matters, so I will not call Christians idolators, since I could be wrong and they could be right (and the same goes for people who worship Zeus) – and in any case, the Christian conception of God contains some of the characteristics of the true God that I myself worship, so Christians are not totally wrong, just as the Aborigines and the Ancient Greeks were not totally wrong either. Hail! It is right for mortals to call upon you, since from you we have our being, we whose lot it is to be God's image, we alone of all mortal creatures that live and move upon the earth. O God, without you nothing comes to be on earth, neither in the region of the heavenly poles, nor in the sea, except what evil men do in their folly. For thus you have joined all things, the good with the bad, into one, so that the eternal Word of all came to be one. others are set on making money without any orderly principles in their lives; and others are bent on ease and on the pleasures and delights of the body. They do these foolish things, time and again, and are swept along, eagerly defeating all they really wish for. 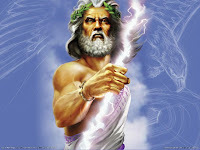 O Zeus, giver of all, shrouded in dark clouds and holding the vivid bright lightning, rescue men from painful ignorance. Scatter that ignorance far from their hearts. for there is no greater glory for men or for gods than to justly praise the universal Word of Reason. David, at some point you must recognize something we do, that all conceptions of God are human in origin and that they evolve down the centuries in different cultures. If there are any similarities it doesn't mean anything but that humans conceive of their gods and goddesses alike precisely because we are human beings. This is plain to see. But you cannot see it because you are blind. I can no more help you see this by poking you in the eye. In any case, even if these god conceptions are the same, which they are not, then why must we suppose they all point to your modern conception of God? And if your particular god could not reveal himself any better than that, then explain why he couldn't. Why not? It simply looks indistinguishable from him not revealing himself at all. Further, would you please tell us which particular god is answering all the prayers offered by believers in the different non-Christian religions who will be condemned to hell because by answering their prayers he's providing them evidence that their non-Christian religion is true? Why would your God provide evidence to believe in a false god via answered prayer when doing so will keep unsaved non-Christians from accepting Jesus as their savior? John: You're just begging the question, rather than dealing with the evidence. The fact is, Gericke's theory assumes that "God" is a philosophical construct that derives from Yahweh, and that it comes later. He says this directly. As I show, he is wrong. St. Paul and Augustine were right, as modern anthropology has proven, in predicting that an awareness of God would be found among peoples worldwide. What we seem to have here, is an instance of "cognitive dissonance" on the part of skeptics. You need to come up with a post hoc theory to explain the genuine pattern of the evidence, rather than go on with your original, failed theory. This some skeptics have tried to do, but Gericke's chapter does not. 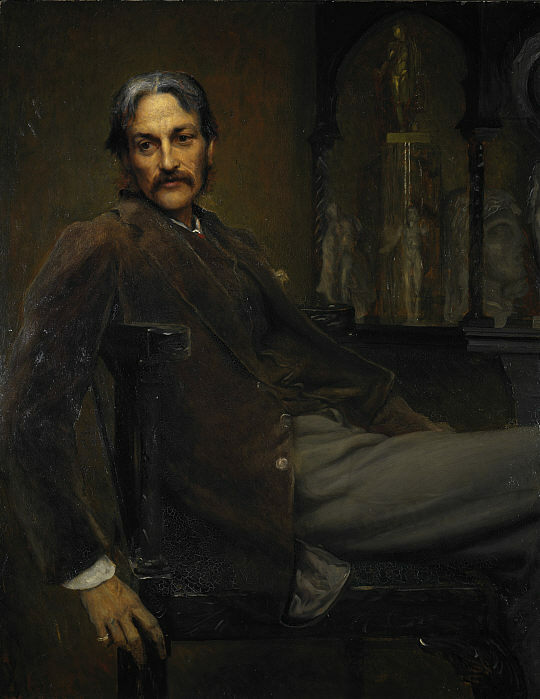 To answer your first question, the "natives" themselves often recognize that "God" transcends cultures, and that his names in different cultures refer to the same unique, supreme being. This is why the Zhou made ready use of the Shang Dynasty name for God, Shang Di -- which Christians still use in China to this day. Durkheim noted that Australian tribes also recognized the cultural transcendence of God. Anyway, how many culturally-transcendant, supremely power, good, Creator-Gods can there be? The characteristics of "God" in hundreds of cultures neccessarily mark Him as the same being. The irony is that modern scholars often prove less sophisticated in recognizing this point than the "primitive natives." Please do invite Gericke to debate the facts with me. I'll be happy to engage him both on the level of logic (theology / philosophy), and on the level of empirical evidence (anthropology). To answer your last flurry of questions, I'm an empiricist, I don't know anything about hell. I personally expect to find Confucius, Epictetus, Socrates, and Zhuang Zi in heaven, though. If God sometimes answers prayers that land in the "misdirected file," that's up to Him; who am I to object? But I'll take it on a case-by-case basis. "If I understand Gericke's argument correctly, he never said other peoples did not worship supreme beings. He said that the character of Yhwh in the Old Testament, in his knowledge of other peoples, seems not to be aware of the existence of those mentioned, cf. Genesis 10. Also, your analogy with Gericke as a character in a book is weak since Gericke's existence can be empirically verified while God's cannot. Moreover, your idea that the high gods of other peoples are also God is contra the Old Testament god's own condemnation of them." Given the facts I mention, this is myopic, absurd, and in its main points rebutted. The God we believe in appeared long before the Iron Age, is NOT tied to any hierarchical culture, is NOT just local, and was NOT "upgraded" to "Godism" -- his universal character has been known among thousands of peoples around the world, since before hierarchy developed. To say God's existence cannot be empirically verified, is to beg the question. Yahweh does NOT condemn the High God -- in fact, the Bible accepts "pagan" terms for him, including Elohim, theos, and even (implicitly, in Acts 17) Zeus. Even if he did somewhere, unless you're an inerracist, I don't know why it would follow that the High God does not exist. Some Christians even today say "Allah does not exist," while others (better informated) say "Allah is the Arabic word for 'God,' though we think Muslim Arabs have some wrong ideas about Him." If the former were somewhere represented in the OT, that would not disprove the latter. If anything it would be the other way around: "Godism" was downgraded (somewhat) into "Yahwehism". Even with the Iron Age character and attitude of YHWH, though, there are a lot of sophisticated metaphysical ideas being colloquially expressed in the OT texts. Jason: I was afraid someone would catch my Bushism. But it might make a good word. You hit the nail on the head with your first remark. How's the writing going for you these days, BTW? I'm currently prepping for a podcast debate with a Calvinist Christian apologist (the pseudonymous but popular internet author Turretinfan) on whether five selections of scripture actually teach that some people will not be saved from their sins. The announcement page, with links to TFan's blog and to our host's blog, can be found here. The debate should start being posted up in parts the second week of October. Jason: That's an idea! Maybe I should contribute some of my books, too. How does that work? Whom would I contact? And why did you print more than 5000 copies of your book? In my case, I'm sending 100 autographed and numbered copies through "Reader Views", which is a review service who put out a call for donated books and is serving as one of the forwarding and packing stations. Irene (who runs the service) repacks the books in candy (not meltable candy) to protect them in shipment, in 75 lb boxes. There's a list of soldiers who have requested books from the program, and extra copies are disbursed through various military programs, too. You'll have to pay shipment to the packing stations, but BFS pays shipment onward from there. Retailers take a book more seriously when there are physical copies being professionally warehoused by a distributor somewhere. At the time I published, reviewers were not much interested in print-on-demand either. Also, buying copies in bulk reduced the production costs, so I could provide them at a competitive list price for retailers to mark down. Most hardback epic fantasy books at the time listed for $25, so giving retailers room to mark down as much as 50%, plus allowing for various other distribution costs and taxes on sales and shipping (the publisher has to pay for shipping to the retailer; the customer pays for shipping onward from there, if any), I needed to be able to produce the books at around $6.50 per unit. At this point, though, I'm better off donating the books to a readership base and building up interest (hopefully) for the sequels, than paying a few hundred dollars a month for warehousing. David, do you believe in the doctrine of progressive revelation? I think (admittedly from excerpts I have read in this chapter) that he makes a fairly convincing case that Yahweh was a physical being, not a spiritual one. I don't think this is compatible with the doctrine of progressive revelation..
Well, again, I think my two points still stand. First, the fact that a simple or unsophisticated notion of God may be held by some people, does not undermine a more sophisticated notion. In the same way, some people believe the sun is a god moving across the sky in a chariot. That does not make belief in the sun per se incredible. Neither would the fact that a primitive notion of God was held by some, undermine a more credible notion. After all, my grounds for faith in God are not the testimony of the author of, say, Leviticus. And secondly, a "higher" notion of God is, in fact, already present in cultures around the world, probably from long before the Bible was written. Win Corduan's In the Beginning, God, renewed the case for this a couple years after I wrote this post. But it was strong already, as I explain in this post. Hi Mr. Marshall. Great post. I was wondering about something: do you think that Christianity relies heavily on the truth of the claims of the Old Testament? What if most or all of the events have either been proven false or have no evidence for their occurrence? If the Old Testament is not historically true, then what’s to stop the New Testament from also being in the same category, especially in light of Jesus referencing to Moses (a character who the majority of scholars agree did not exist) and the Patriarchs? If the Old Testament can’t be trusted as historical, then why believe any of it? Some atheists argue that Christianity’s entire faith can be bound to the Pentateuch. Without that, Christians don’t have a reason to believe in God. I'd love if you could respond to this article. In my last book, Jesus is No Myth, I described 30 characteristics of the gospels which I believe strongly demonstrate their general historicity and credibility. None of those traits depend on the accuracy of anything in the Old Testament. However, as I research for my new book, on how Jesus liberates women, I am finding that Jesus' teaching really is the fulfillment of trends that cause the OT to stand out distinctly from other ancient writings and cultures. While I am not an inerracist, like C. S. Lewis I greatly value and treasure the ancient Jewish writings, and recognize the hand of God upon them. This feeling has been amplified as I included some Jewish texts in my Foundations of World Literature textbook: the OT really is full of wonderful things. I feel that many such skeptics are far too small-minded, living in a pathetic and narrow world indeed.